After a full autumnal Saturday heading north from London by train and car, hubby and I finally arrived in the tiny village of Kilconquhar in the county of Fife, Scotland. The Kilconquhar Castle Estate is a large family resort situated 15 minutes drive from St Andrews and 90 minutes from Edinburgh in the the beautiful Scottish countryside. It offers self-catering villas, cottages and apartments, and a leisure centre equipped with a swimming pool, snooker tables and a games room as well as putting greens, a driving range and a tennis court. The grounds boast rolling green hills just moments from the North Sea and the castle itself provides a beautiful backdrop for any family holiday, cheeky romantic getaway or a group of friends after some adventure. This time, we were the latter. Sunday morning saw us heading north on a rural road in the hunt for monsters. Admiring the beautiful autumn countryside on the three hour drive, we by-passed Perth and Inverness and continued to drive down the east bank of the Loch Ness. Loch Ness is a large freshwater loch located in the Scottish Highlands about 167 miles (270km) from Scotland’s capital city, Edinburgh. 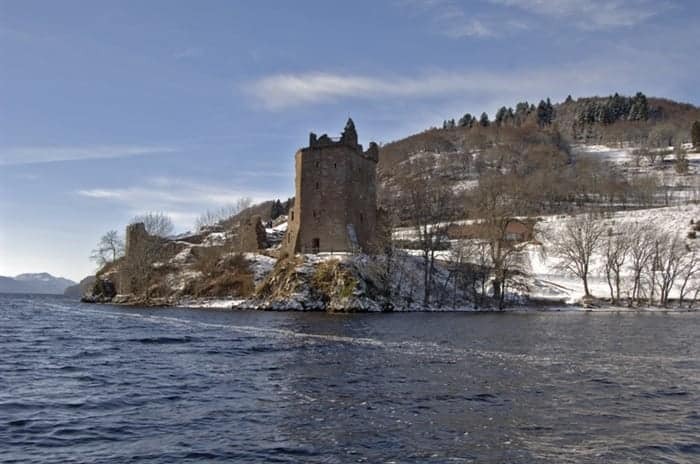 The cold, murky Loch stretches southwest for 23 miles (37km) from Inverness and is best known for alleged sightings of the (mythical) Loch Ness Monster, known affectionately as Nessie. In our little Fiat we crawled along the east bank, stumbling upon a fantastic photo opportunity of the stunning Loch in all its glory and a small waterfall. The beautiful greens, reds, oranges and yellows of autumn had provided an incredible backdrop to what must be one of the most scenic routes in the world. After we posed for awkward selfies and announced to the world via Facebook of our current location, we backtracked to Inverness to explore the west bank of the great Loch. Nessie evaded us this time. One mile past Drumnadrochit we came across the ruins of Urquhart Castle (also see top image) along the west bank of Loch Ness. Dating from the 13th and 16th centuries, this castle has a history of raids and destruction until 1692 when it was left to decay. Urquhart Castle was one of the largest, and is one of the most beautiful castles in all of Scotland. 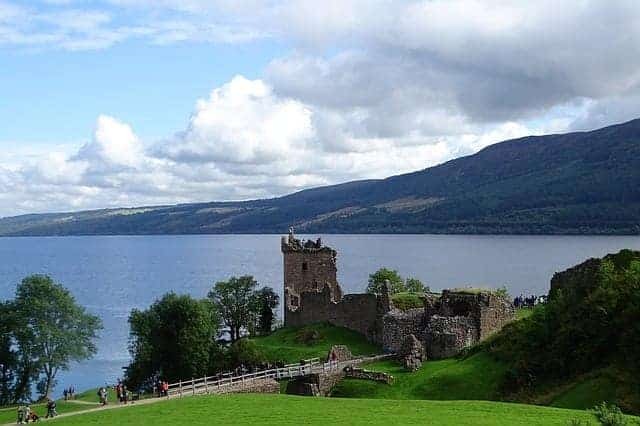 The impressive stronghold boasts a brilliant view from the Grant Tower battlements, and visitors are able to scramble over the remains of the gatehouse, chapel and hall with the scenic Loch Ness backdrop. It is no wonder that now, more than 300 years after it was deserted, it is also one of the most visited castles in Scotland. 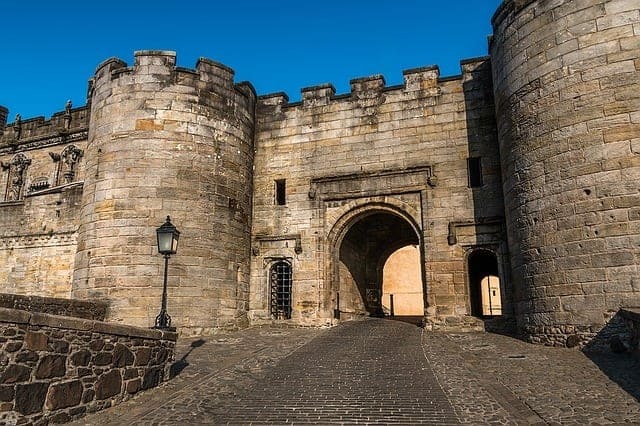 Stirling Castle, the stunning Royal Palace of James V, is situated high on a grand mountain in Stirling’s Old Town, 37 miles (60km) North West of Edinburgh. We visited Stirling Castle on our third full day in Scotland, hoping the rain would hold off long enough for us to explore the gatehouse erected by King James IV in about 1506, the King’s Old Building (circa 1497), the Great Hall, the Royal Palace, the Chapel Royal and artillery fortifications dating back to the 1550s. Almost all of the present buildings were built between 1490 and 1600 for the Stewart Kings James IV, James V and James VI. On three sides of the castle are steep cliffs. On the fourth side is Stirling Old Town. We enjoyed exploring the museums and learned much about how the Castle has played an important part in Scottish history, specifically the crowning of Mary, Queen of Scots, and during the Wars of Scottish Independence. Much of the Palace has been redecorated with tapestry and bright colours to reflect the way it would have once been adorned. 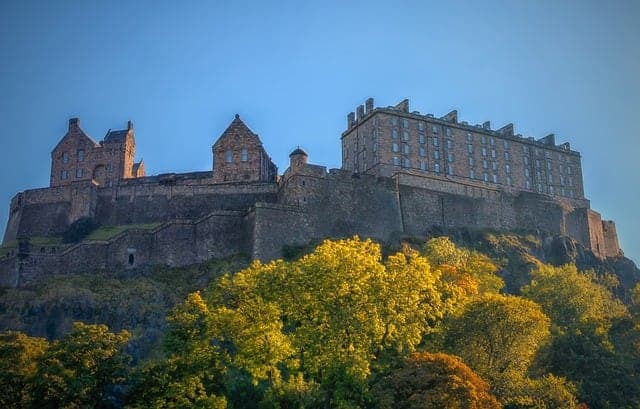 On our visit to Edinburgh Castle, perched 130 meters high on the rocky cliffs above the very centre of Scotland’s capital, we discovered a historic fortress dominating the skyline and commanding stunning views across the city. The oldest building in the castle is St Margaret’s Chapel, which dates back to the early 12th century. However, archaeologists believe there was some form of human occupation on Castle Rock from the 2nd century AD. The Great Hall dates back to the early 16th century and sits on the cliff side adjacent to the Scottish National War Memorial, the Prisons of War and the Royal Palace where Mary, Queen of Scots gave birth to James, future King of both Scotland and England. If you do visit, try to arrive for the One O’clock Gun, fired at precisely 13.00 every day, except Sundays, Good Friday and Christmas Day. When I visit different countries and cities, I like to sample the local cuisines and experience the local fare. Scotland was no different, so during our stay I was lucky enough to taste succulent Aberdeen Angus beef, and ventured north to the small town of Crieff for a Scotch whisky distillery tour. Established in 1775, the Glenturret Distillery offers a range of tours and samples of The Glenturret Highland Single Malt. 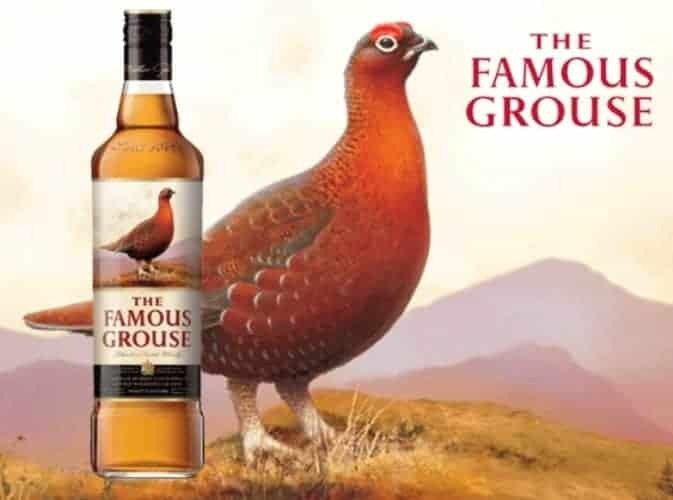 On the “Taste of Scotland” tour we were guided through the distillery where traditional methods and equipment are used to produce The Glenturret Highland Single Malt, used in The Famous Grouse blended whisky. We sampled The Famous Grouse blended whisky and The Glenturret Highland Single Malt before our guide matched three Highland Single Malts with different food samples designed to enhance the whisky’s unique tastes. The Macallan Gold was a personal favourite of mine, and not just because it is the whisky featured in the recent movie Skyfall. The Highland Park single malt is also well worth a try. The Glenturret Distillery is home to the largest bottle of whisky in the world, authenticated by Guinness World Records, and has a great bar/restaurant and gift shop where you can sample and purchase your scotch whisky of choice. As a souvenir of our tasting experience I took home a personalised bottle of The Famous Grouse complete with my (new) surname. We had no luck tracking down Nessie on Sunday, so on our second day in Scotland we ventured north to Kenmore, Perthshire, to the Mains of Taymouth Stables. The country estate offers trekking and hacking among forest tracks and rolling hills, guided by stable manager Katy. Katy’s warmth and enthusiasm was much appreciated since none of our party had much experience with horses. 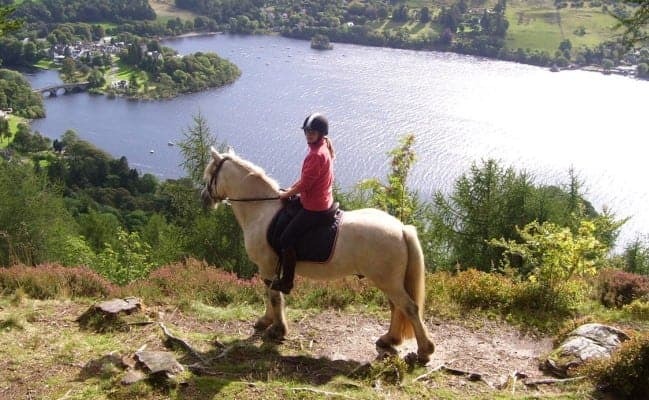 She paired us with our horses, Star, Poni-o, Connie and Lou, and guided us along a picturesque track with the most spectacular views over the quaint village of Kenmore and magnificent Loch Tay. On our last morning in Scotland the male half of the party decided to try their hand at clay target shooting, a popular sporting activity in Scotland which can be traced back to the early Middle Ages. We ventured to Chesterstone Farm located near Upper Largo and situated on a hillside overlooking Largo Bay, Elie Point and, on a clear day, the magnificent coast line across the Firth of Forth. Chesterton Farm also offers self-contained cottages for holidaymakers looking for a place to stay with plenty to do. Bill, one of the farm’s owners, drove us across the paddocks to a safe area of the farm where the boys learned the art of clay target shooting. I have to say, they didn’t do too badly. During we afternoon we visited Edinburgh Castle before departing on the train back to London. Our five-day holiday had been full of activities and adventure, but I still feel I will return some day, perhaps to stay at the The Mains of Taymouth Country Estate or Chesterstone Farm Holiday Cottage.